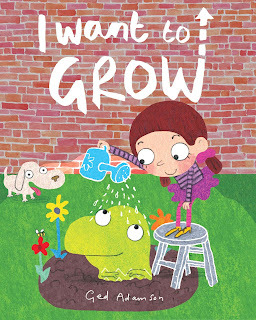 Ged Adamson is the author and illustrator of the new children's picture book I Want to Grow. 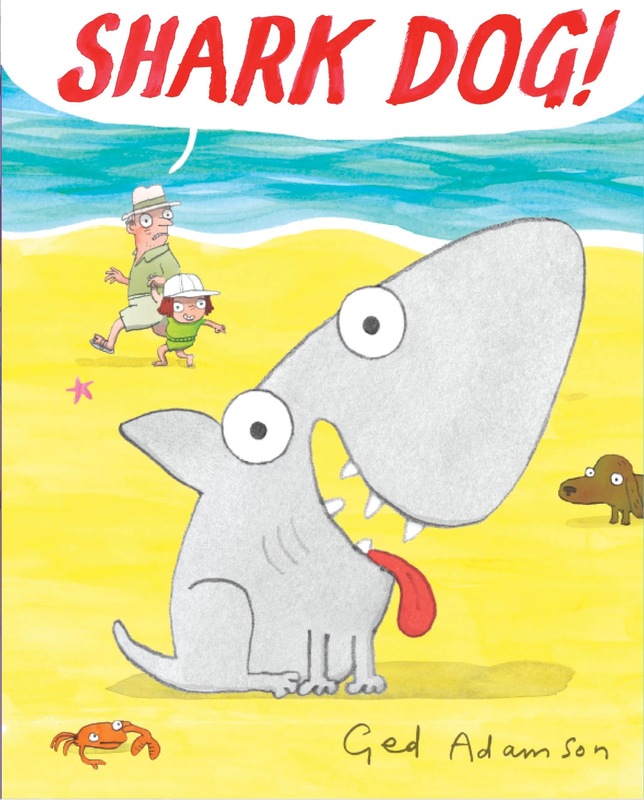 His other books include Shark Dog! 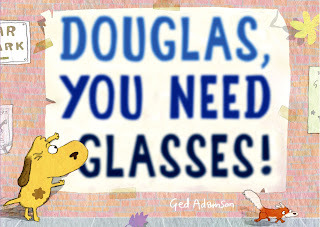 and Douglas, You Need Glasses!. He has worked as a music composer for television, and he lives in London. 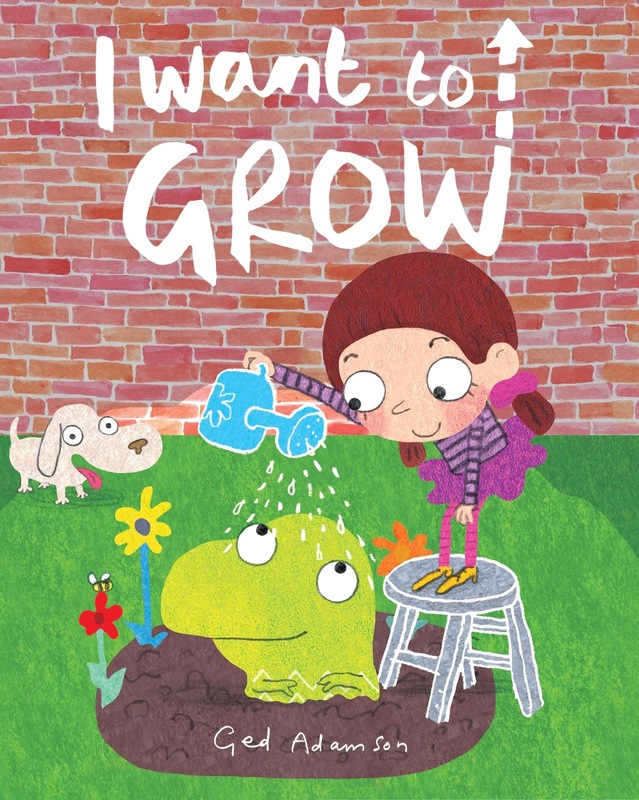 Q: How did you come up with the idea for I Want to Grow? A: I think it was just watching my son Rex get taller by the day. I realised that he and his friends grew at different rates and it was often the girls who towered over everyone. I had invented these characters Muriel and Herb and I really liked them. Coming up with a good story was hard work though. I thought Herb being shorter than Muriel might be something I could develop into an idea. I reckoned Herb would start to feel annoyed that Muriel had this advantage over him - even though he's a dinosaur and she's human! Q: Did you work on the illustrations and text simultaneously, or focus on one before the other? A: I worked on the text whilst doing the illustrations. I always do this but I'm beginning to see the value of having the manuscript in place before the art. I think it's a better process. Here and there, words and sentences will inevitably change but, if you have a strong idea of the text before illustration begins (or even sketches), you're less likely to meander in style and you'll more easily keep in mind what you're trying to say. Recently working as an illustrator on someone else's book taught me some good lessons in this regard. But quite often, as with Muriel and Herb, I'll come up with characters before a story so I'll generate storylines with sketches and doodles and comedy scenes. A: First and foremost, I hope they laugh - or at least smile! But I'd like to think a child would see that sometimes you need a bit of patience when it comes to the things you want in life. It's usually when you've stopped obsessing over what everyone else is doing that you find you've moved on in a positive way. And you hadn't even noticed. Quite often, you find that the thing you most desired is not that important. I think it's when you accept yourself that you can really achieve things. If only I'd known that when I was a kid! A: You know, I wasn't a great reader of “proper” books when I was little. What I did read a lot of were comics. Comics in the UK weren't really superheroes or war stuff. They could have those things in them, but they were mainly just funny stories about odd kids or animals. Just comedy stuff basically. I don't think I ever laughed though, despite enjoying them a lot. In our house, we had loads of books of newspaper comic strips. These I definitely did laugh at. Like the Peanuts books for instance. I was completely consumed by Snoopy and Charlie Brown. My classmates would get me to draw all the characters. I absolutely loved people like Ronald Searle and Quentin Blake. My parents had a lot of books and my dad would have books with pictures of art from all kinds of periods. Even cave drawings and Egyptian hieroglyphs. But I did enjoy Charlie and the Chocolate Factory and James and the Giant Peach - we had those read to us in school. It wasn't until I was around 11/12 that I started to read books properly as a habit. A: As well as the followups to Shark Dog! 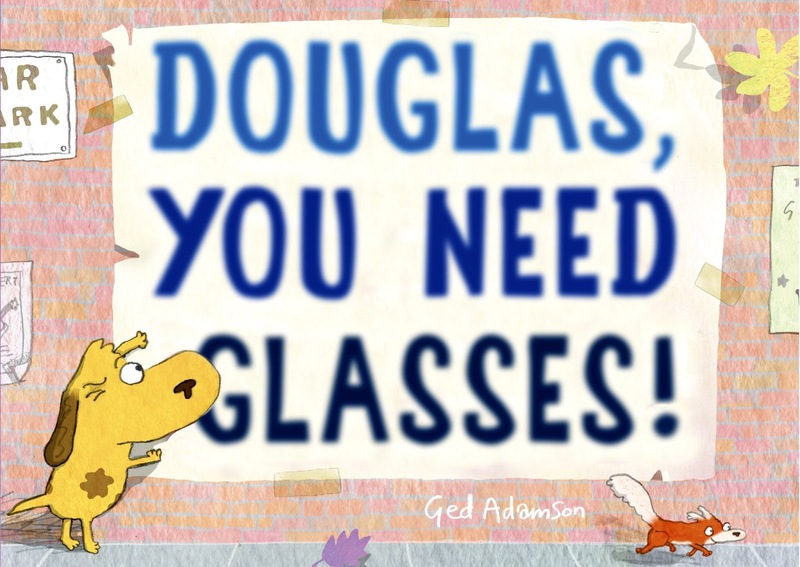 and Douglas, You Need Glasses!, I'm working on a couple of new story ideas. I'm pretty excited about these - I think they have potential! 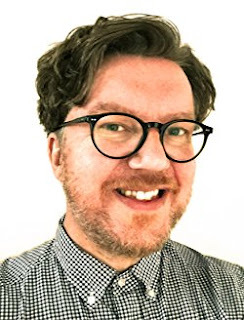 But something I'm really looking forward to is a picture book I wrote called Ava And The Rainbow (Who Stayed) which is out next spring with Harper Collins. It's like a kind of fairy tale and I can't wait to see what everyone thinks of it. A: The book I mentioned that's by another author is Mommy, Baby And Me by Linda Elovitz Marshall and that's out in the autumn. I had a lot of fun working on that one. I hope I can keep doing picture books for a long time because I love it!